Prospect of people getting cheaper internet data in India might have taken political overtone when politicians resort to ‘atta’ (wheat flour) verses ‘data’ debate in the wake of an advertisement featuring Prime Minister Narendra Modi, but the availability of cheap and fast data has potential to increase farm productivity and income of farmers. India’s space agency ISRO’s ongoing programme of predicting site suitability of particular crop, cropping intensity, early season crop forecasting, soil texture, moisture as well as agricultural water management will show the desired result only when farmers can access these information right on their smart phones. “The country’s space agency can even assess if a particular crop can be planted in particular site. But, dissemination of such information to each and every farmer in the country remains a big challenge. The government’s initiatives through digital India programme will help, provided farmers can afford internet data on their mobile phones and access those vital inputs”, said an official involved with the programme. Though many such information are being shared through various ‘Krishi Vigyan Kendra’ (Agriculture Science Centres) across the country, the farmers are still not getting faster and more accurate farm and crop-specific solution to their problems on the ground. Availability of affordable data will help them getting such information when the world is moving fast towards ‘digital farming’ where data-driven insights are helping farmers improve their on-farm decision-making. Days are not far when they can send farm pictures including of weeds and infected portion of crop fields to scientists and get a quick solution on their phones. Crop Science division of the global crop protection and seed giant, Bayer AG, has already started testing its digital tool in India. Idea behind ‘digital farming’ is to help farmers identify pests, disease and weeds down to the square meter of their farms and provide them with solution to enhance yield and farm profitability. The company had last week demonstrated its ‘digital farming’ tool during ‘Future of Farming Dialogue 2016’ in Germany. Responding to the TOI’s question as to how such tools can work in the country like India where majority of the farmers have small landholdings, head of the Bayer’sCrop Science Division, LiamCondon, said the company was familiar with the challenges being faced by small landholders and lot of testing was going on at right level to find out right solution for them. Condon noted that the testing was being done in India to find out how the mobile phone technology can combine with the Bayer’s outreach programme and how it can be used in smart and simple way to help the company solve problems of farmers, keeping in mind their level of education.The crop scientists during the Farming Dialogue at Leverkusenand field demonstration in the German countryside explained that the digitalization can give farmers timely field-level information for selecting right inputs including fertilizer or crop protection dose, determining the ideal time for crop protection measures and recognizing plant stress factors at an early stage. The Bayer in its digital farming narrative noted that the farming has and will always be a field where decisions are made from a mixture of knowledge, experience, and gutt-feeling. Digitalization, however, provides farmers the ability to more accurately predict the outcomes as well as most effectively respond to the Mother Nature’s ever-reoccurring challenges. It said, “By combining the power of a farmer’s instinct with cutting-edge technologies of today, such as satellite imagery and GPS, we can help a farmer to make best-informed decisions every day, month, season, or year. 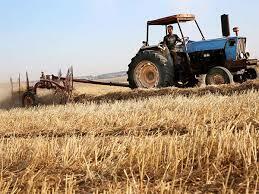 Decision-making will become sharper, smarter, and simpler for the farmer, anywhere, anytime”.